Tisza Balneum Thermal Hotel - conference and wellness centre - is located right on the shore of Lake Tisza in Tiszafüred. The 4-star hotel complex consists of a 3-storey main building with 50 guest rooms and 9 separate apartment-houses in beautiful natural environment. All rooms are air conditioned and have terrace and/or balcony. All pools of the hotel’s wellness centre are filled with mineral rich water from the hotel’s own 44°C thermal spring. In Balneum Restaurant rich buffet breakfast and - for lunch and dinner - fresh soups, grill-specialities, special salads and menus are available. 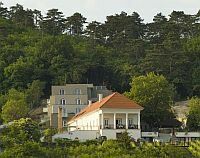 The 3-star Hotel Millennium is located in Tokaj, in the centre of the historical wine region Tokaj-Hegyalja. Hotel Millennium has 18 rooms providing you full comfort and an individually designed restaurant offering traditional Hungarian dishes and the special wines of the historical wine region Tokaj-Hegyalja for the guests. The Health-Wellness Studio of the hotel provides services to make your stay a pleasant experience. 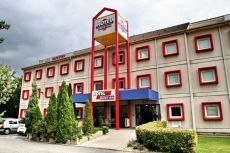 Drive Inn Hotel (former Etap Hotel) is located in the gateway of Budapest, right next to the M1 and M7 highways in Torokbalint. Drive Inn Hotel Budapest is a real budget hotel offering great accessibility, enormous parking lot and high quality but very cheap services. In the lobby free of charge WiFi Internet connection is at guests’ disposal. from €45! Special offer! Free night: 7 = 6! 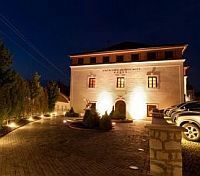 The 4-star Hotel Villa Medici is located in Veszprem, in the picturesque valley of the city, at the foot of the Valley Bridge (Viadukt). The cozy rooms and apartments, the two restaurants, the small Japanese gardens, the show kitchen and the panoramic terrace behind the hotel building offer a pleasant stay to our guests. 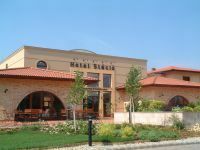 The pearl of the hotel is the swimming pool with jacuzzi, sauna and steam room.